Within a year or two, the loan on my Toyota Camry will finally be paid off, and I’ll own the car. I hope to one day own a home, and — if all goes well — maybe even a boat. Owning an island? That’s probably not in the cards for me, but businessman Fuji Rodriguez has done just that. Fuji is the owner of Arena Island, a 10-acre plot of land located off the eastern coast of the Philippine province of Palawan. The island resort features four cottages that are purposely low-tech and not equipped with Wi-Fi or TVs. The point of visiting Arena Island, Fuji said over dinner, is to truly unplug and recharge your body. The sun rises over Arena Island. With only four cottages, the island is perfect for vacationers seeking privacy and exclusivity. I spent two nights at the private island, and with few distractions it’s easy to get lost in the beauty of this (mostly) untouched tropical landscape. In addition to renting out the cottages, Fuji is developing the island as a nature preserve. While Arena Island is home to a number of roosters, peacocks and other birds, the highlight are its sea turtles. To help boost the endangered animal’s numbers, some of the turtles laid and hatched on the island are kept in ponds until they are 4 weeks old. At that point, they are set free. Since 2003, more than 12,000 hatchlings of the green and hawksbill sea turtle species have been released from Arena Island. On the last day of my stay, I participated in a mid-morning hatchling release. Our group carefully plucked a few turtles from the pond for 4-week-olds, and walked toward the edge of the sea. The turtle I picked out easily fit into the palm of my hand and weighed no more than a McDonald’s Egg McMuffin. Once we got the OK from island staff, we lowered the turtles to the sand and watched nature take its course. The turtles scooted into the water using their tiny flippers and began swimming away from the shore. This baby sea turtle was around 4 weeks old when it was released into the sea. Seen here are tracks from a sea turtle that came to shore to lay eggs. These preservation efforts are necessary because of threats from illegal poaching and destruction of habitats. “The greatest cause of decline in green turtle populations is commercial harvest for eggs and meat,” reads a sign on the island. Proceeds from cottage rentals are used to fund the sea turtle conservation program, making Arena Island an ideal getaway for those looking to help an endangered species and — at the same time — unplug from the modern world. The island is home to a number of birds, including this peacock. Casita Dos, one of the four cottages on Arena Island, at sunset. A view of Arena Island from the sea. The resort is located off the eastern coast of the Philippine province of Palawan. 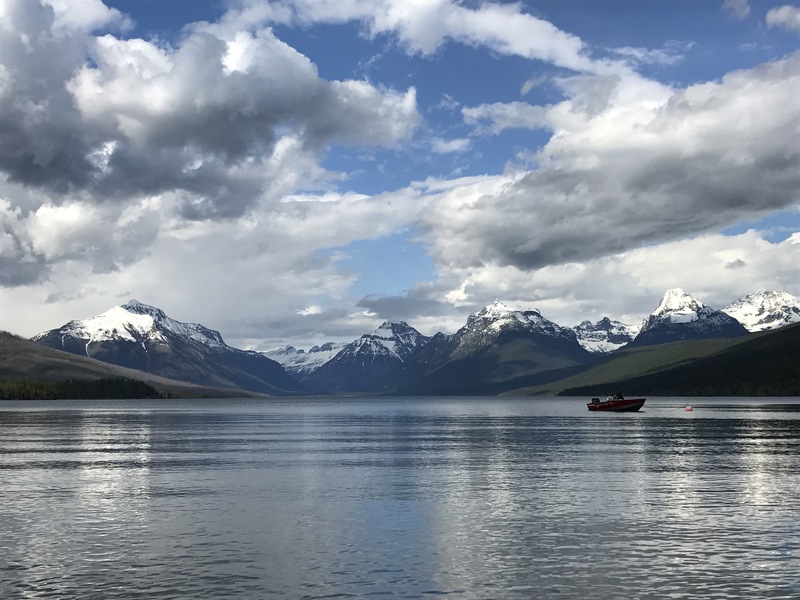 At $100 per night, these rustic cabins inside Glacier National are a bargain. 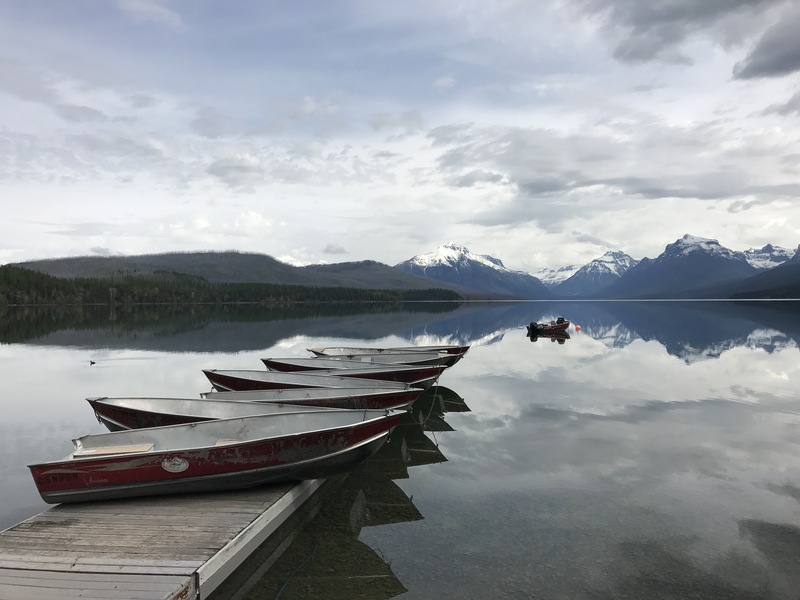 Located at the southern tip of Lake McDonald, Apgar Village Lodge is a great place to stay a few nights while exploring the west side of the park. 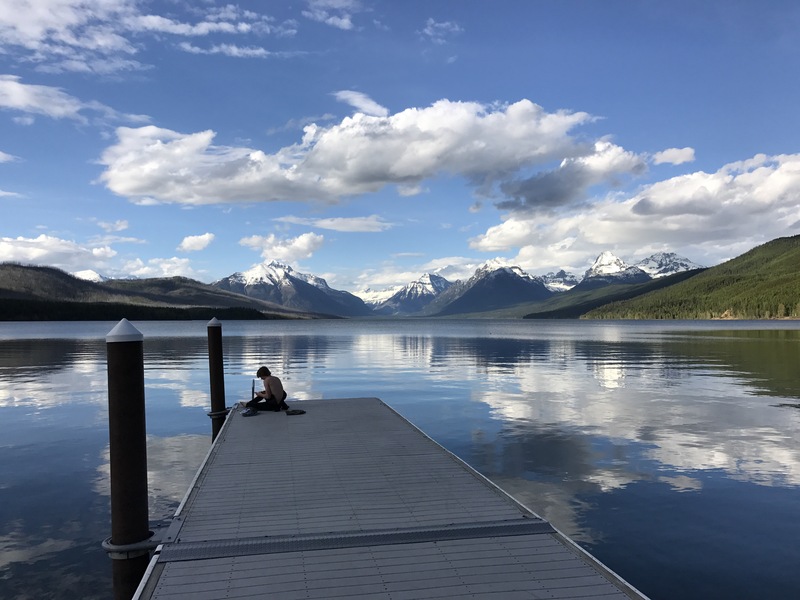 The highlight of my stay was waking up around dawn each morning, getting a free cup of coffee at the lodge office, and watching the sun rise over Lake McDonald. 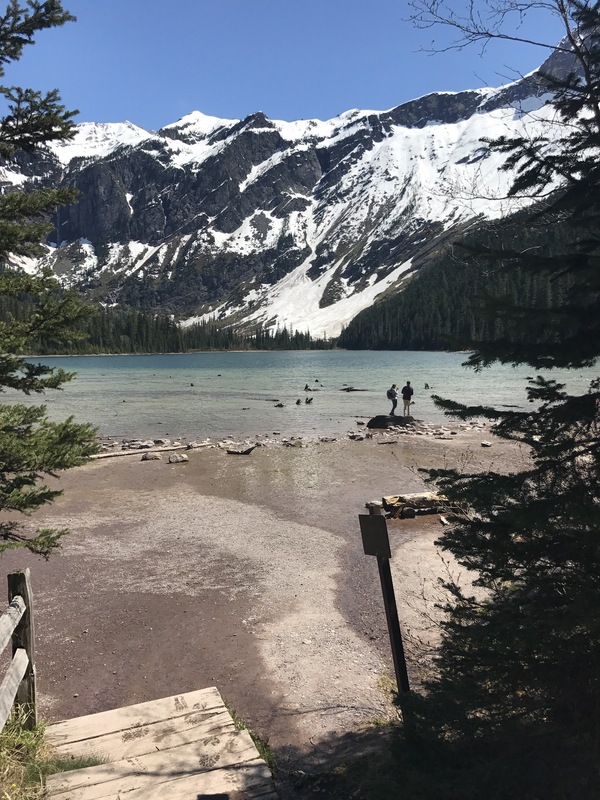 The reflections of the snow-capped mountains surrounding the lake would change as morning became afternoon. In the evening, the brilliant reflections faded to dark. With little light pollution, the stars and moon lit up the night sky. 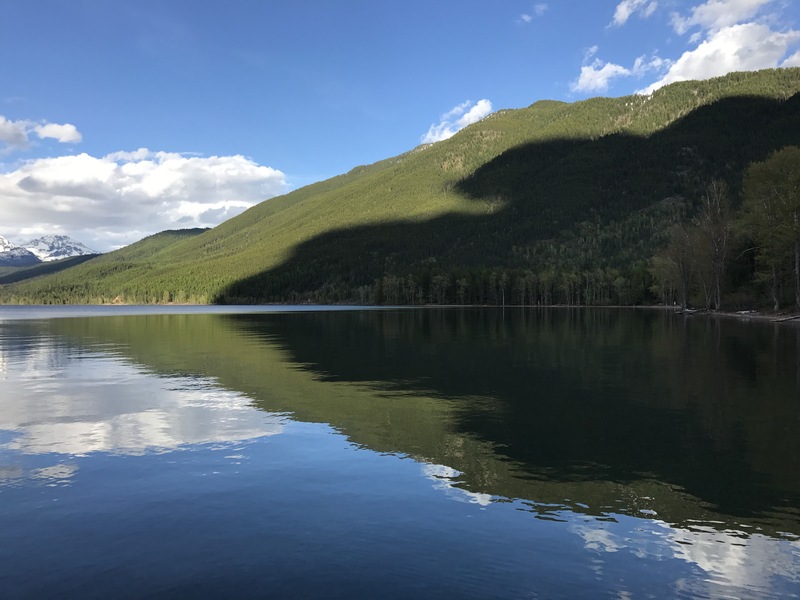 Here are a few photos I took while staying at the lodge. 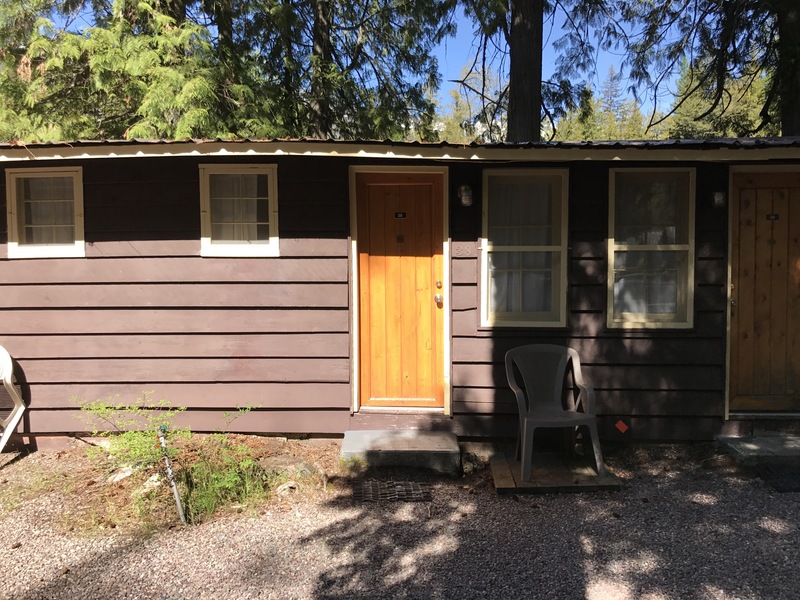 The entrance to our cabin. Our room had a view of a river that ran near the lake. 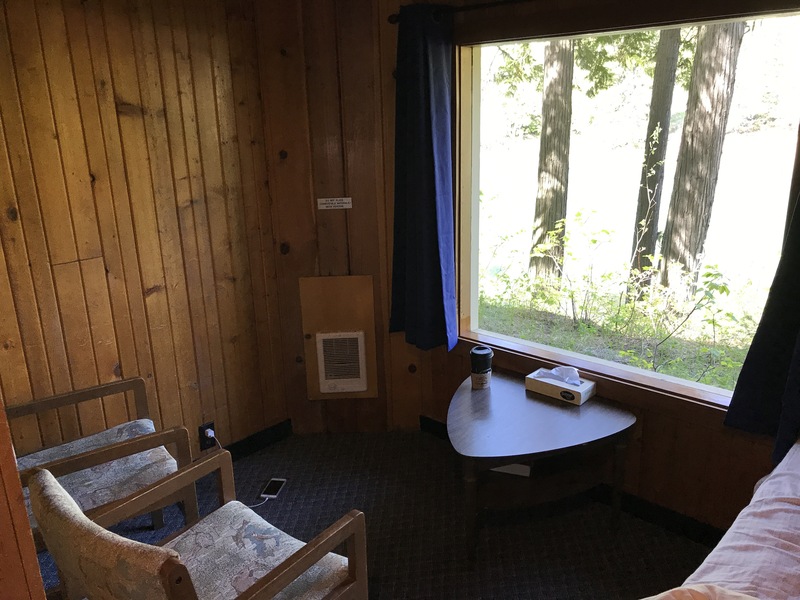 The room didn’t have a TV or wifi. To me, that was one of the perks. 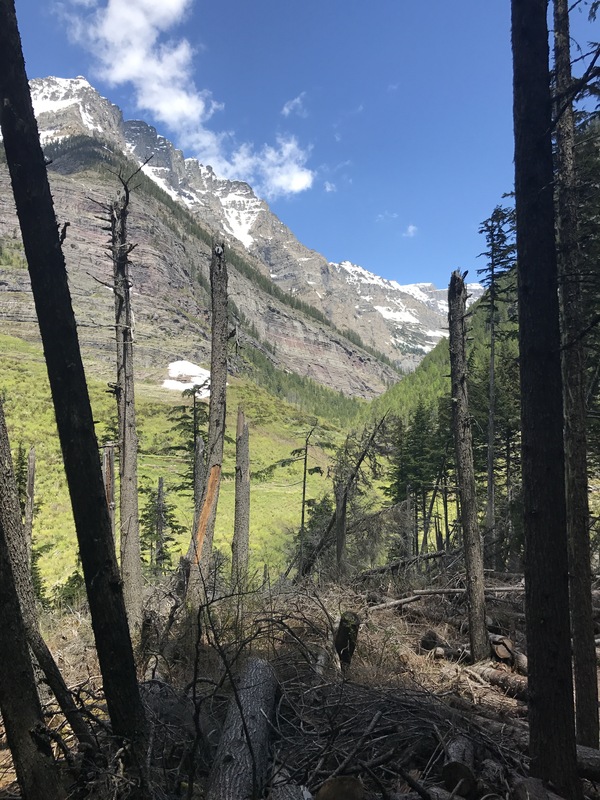 Since I visited Glacier National Park in May, many of trails were still closed because of snow and ice. 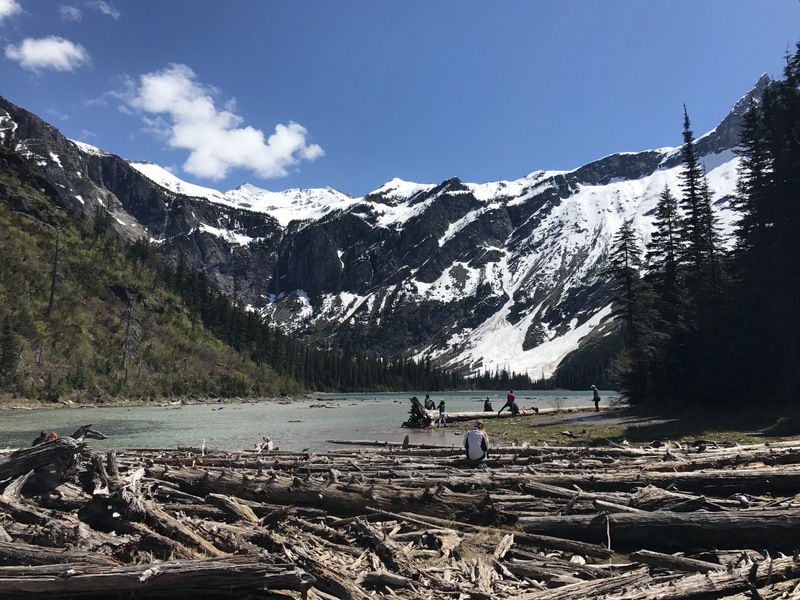 However, I was able to hike one of the most popular trails in the park: the Avalanche Lake Trail. 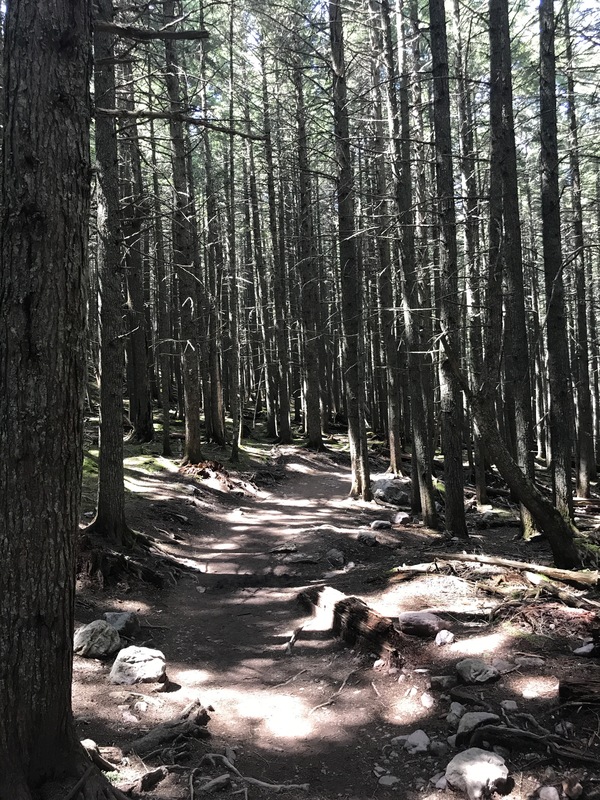 The 4.6-mile (roundtrip) trail cuts through thick woods, with moderate climbs in elevation. 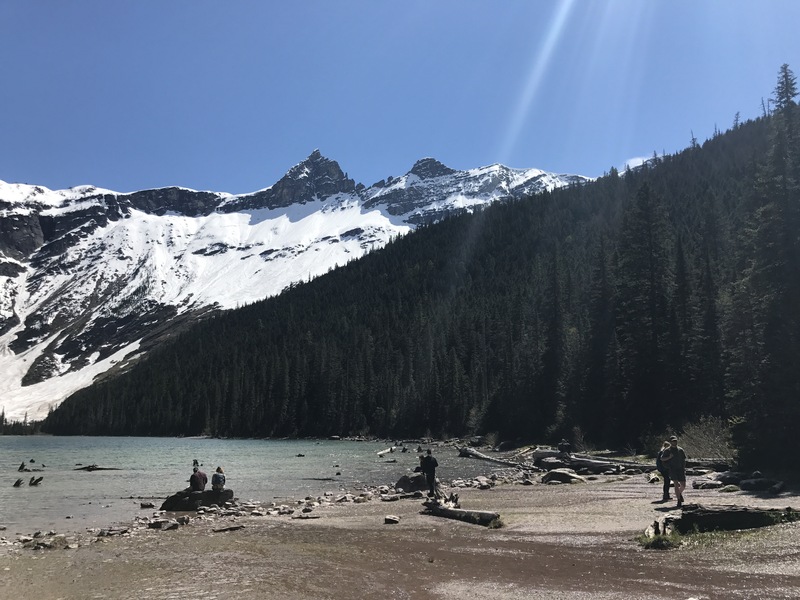 The highlight is the lake, which is rimmed with steep cliffs on three sides. The melting snow in late spring/early summer creates several waterfalls, which send water cascading down the cliffs. It’s a must-see for any visitor to the park. 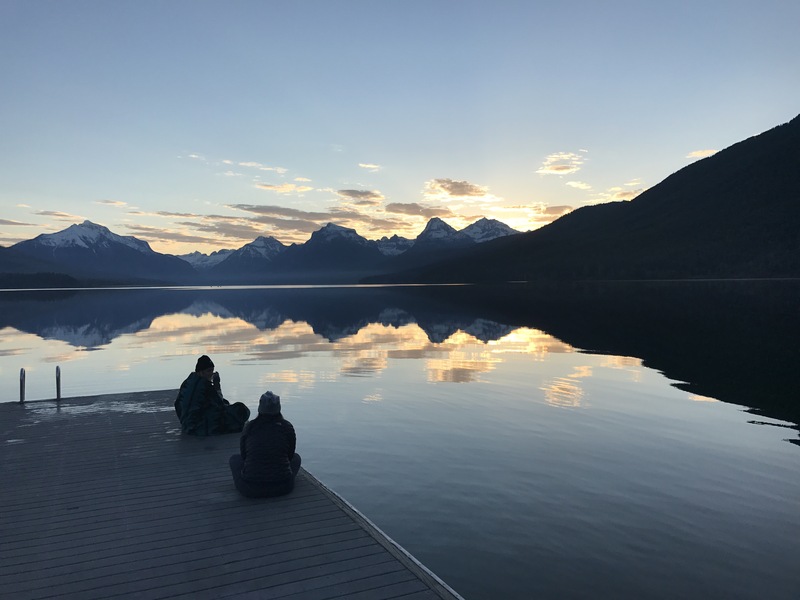 If you google “things you need to know before visiting Glacier National Park,” the first link that appears includes a reminder that you’re in grizzly bear country. 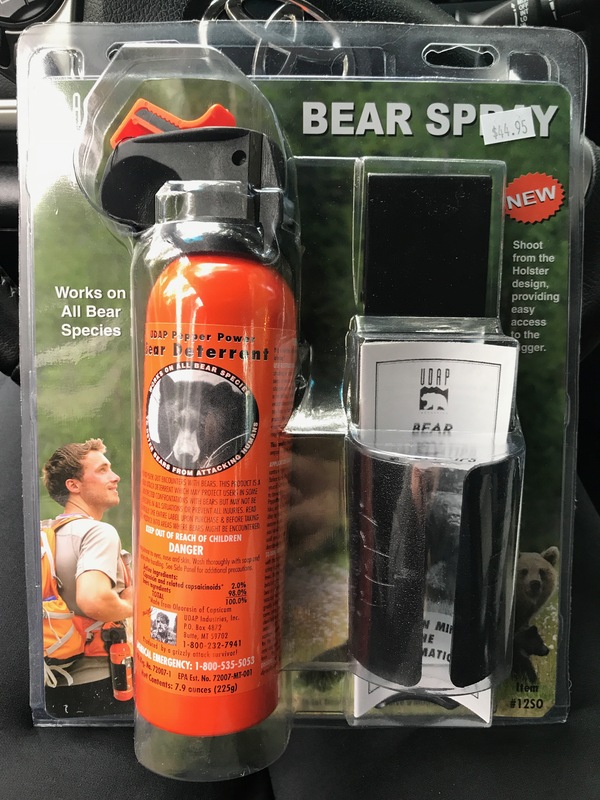 My wife and I were on the fence about buying bear spray, but talked ourselves into it after overhearing a conversation a forest ranger had with a local convenience store owner. Ranger: Actually, yes. We’ve had quite a few bear sightings. I always tell people to carry bear spray. You pay for life insurance, and this is a form of insurance. Store owner: I’ve been hiking this area for 30 years and always carry it with me. So, we bought a can. I shopped around a bit and found one for $45, which seemed like a bargain given the prices of “higher-end” options. It came with a holster that I could fasten to my jeans, making the can, in theory, easily accessible at a moment’s notice. Signs all around Glacier National Park warn visitors that they are entering bear country. A pun-laden manual that came with the spray — “Bear Safety Tips: Bear in Mind the Information — recommended testing it before hiking. Given that the odds of me accidentally spraying into the wind and subsequently blinding myself were much greater than getting attacked by an actual bear, I skipped the practice test. Instead, in an empty parking lot, I practiced pulling the can from the holster and firing at an imaginary beast until I got comfortable with the maneuver. I did some shopping around, but ultimately settled on this bear spray. And so, spray can in tow, we went into the wilderness. 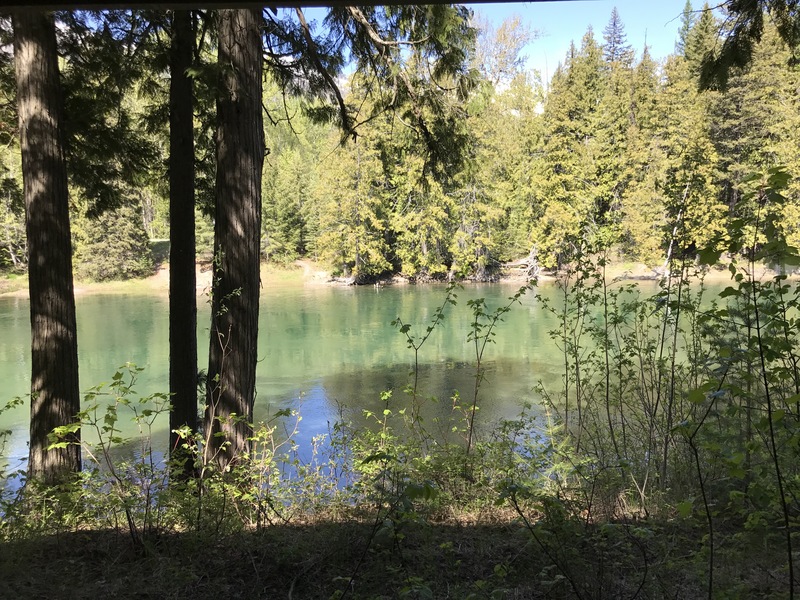 We didn’t encounter any bears on that hike … or any other in the park. That’s the norm, of course, as sighting are rare and attacks even rarer. I know it’s a “form of insurance,” as the ranger put it, but I couldn’t help but think I had wasted my money. If a bear charges you in the wild, the spray might not even help. The bear spray manual clearly states that more than once. 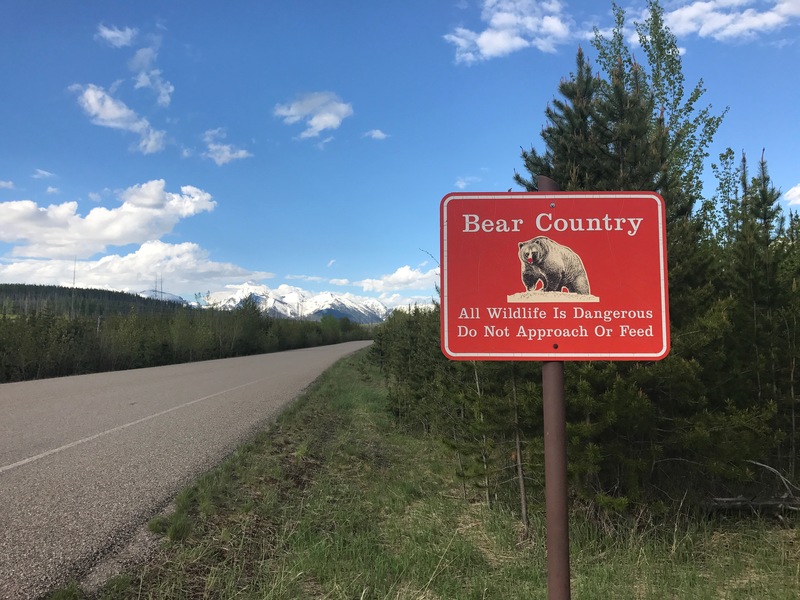 Here’s a tip that might prove useful when considering whether to buy bear spray: if you’re not comfortable practicing because you’re afraid you might shoot yourself in the face, take your chances in bear country without it. I recently visited Boulder, Colo., and now I understand why people are flocking there in droves. The scenery is amazing, and the food scene – for the size of the town – is great. 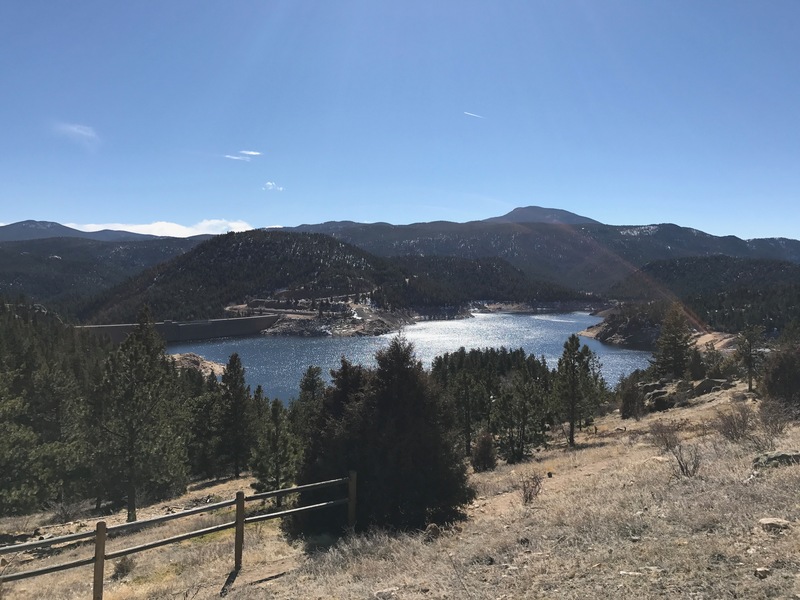 Boulder is located around 30 miles southeast of Denver. 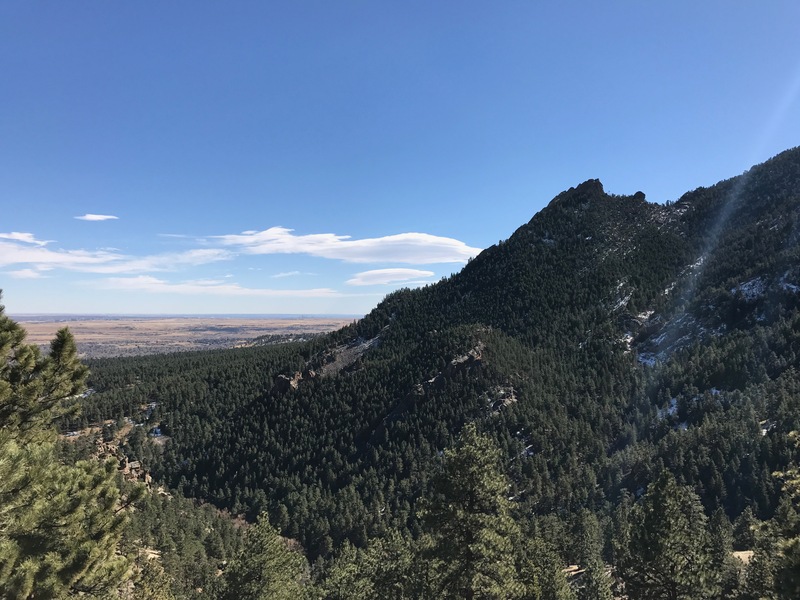 People from all over the world come to Boulder to hike the trails surrounding the city. 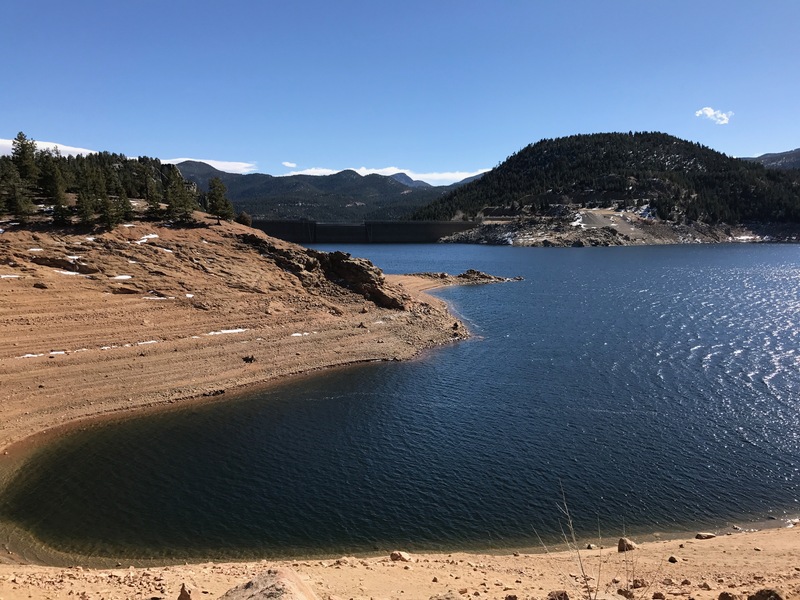 Patches of snow can still be seen in early March near a lake outside Boulder. Buffalo graze at Custer State Park. The park is home to more than 1,300 buffalo. The donkeys in the park often approach vehicles passing through Wildlife Loop Road. They seem to expect handouts, so have a snack ready if you roll down your window. Before the arrival of European settlers, millions of buffalo migrated through the Great Plains. They were nearly hunted to extinction in the 1890s. Today, there are more than 200,000 in North America. One of the world’s most recognizable stone monuments is practically in my backyard. 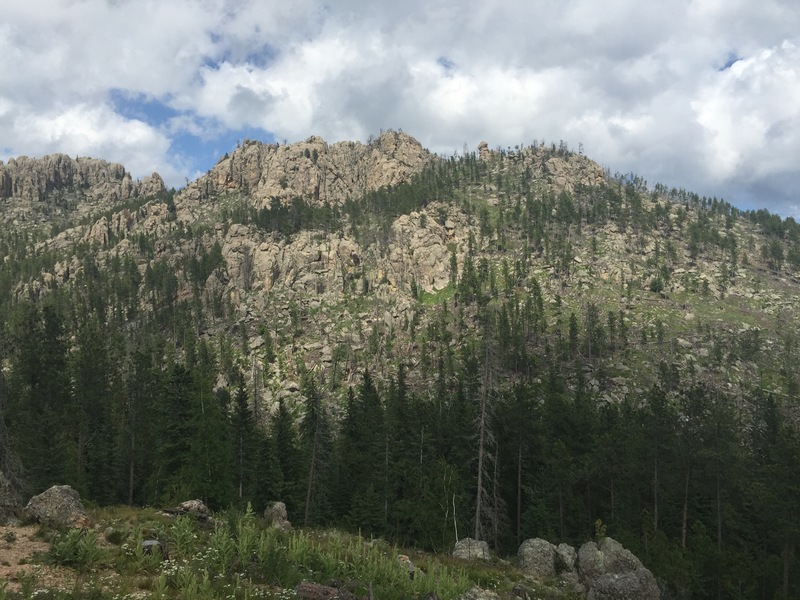 Twenty-three miles southeast of Rapid City lies Mount Rushmore, a national memorial to four of the nation’s presidents: George Washington, Thomas Jefferson, Abraham Lincoln and Theodore Roosevelt. They are arguably four of the country’s most important presidents. Washington led the successful war effort against the British that gave the United States independence and later served as the nation’s first president. Jefferson was the primary author of the Declaration of Independence and advocated for religious freedom and tolerance. Lincoln guided the Union through some of its darkest and bloodiest days during the Civil War, when the country’s north and south states were anything but united. 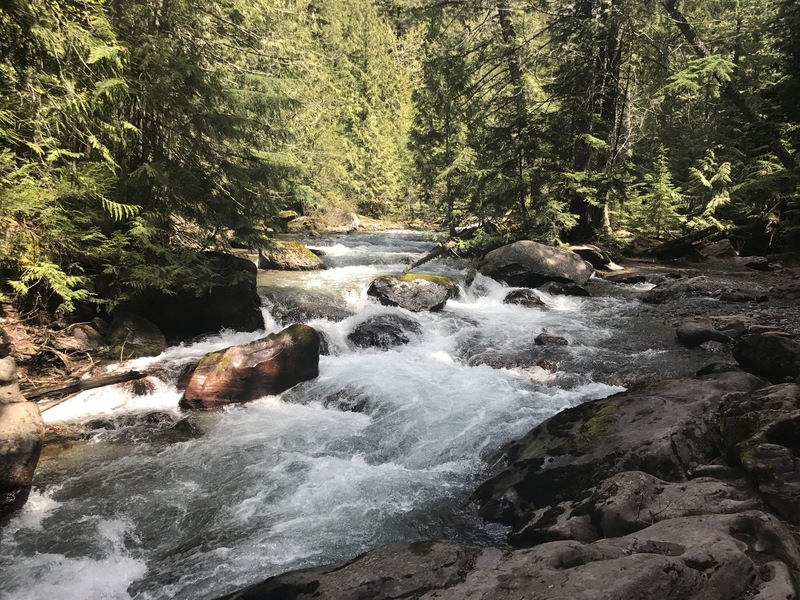 Roosevelt’s greatest legacy may be the efforts he undertook to protect wildlife and public lands by establishing the United States Forest Service. These men laid the foundation for the prosperity Americans enjoy today. But for the Native people of this land, that prosperity meant an end to their way of life. 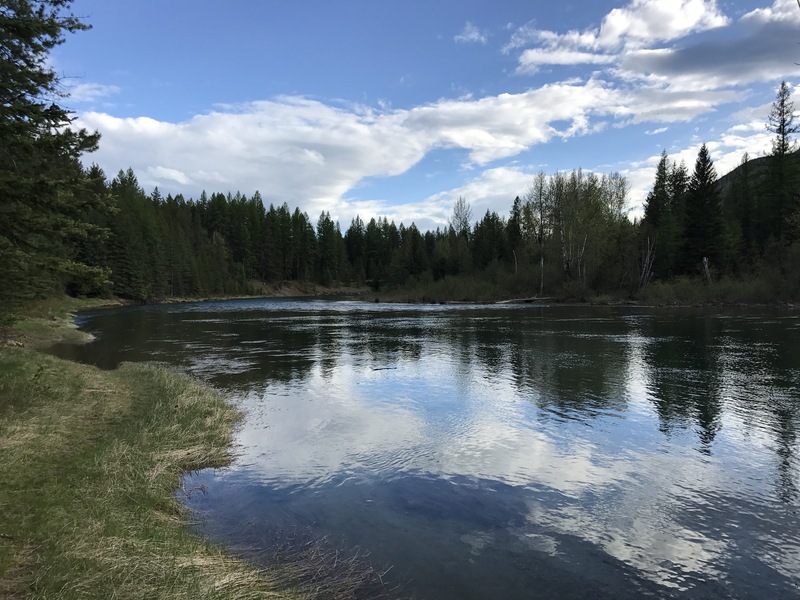 Their territory became smaller and smaller, until they were forced to live on reservations established by the government through treaties that were often unfair. The American bison, which many tribes depended on for food, tools and shelter, was nearly hunted to extinction. There was resistance among Indian nations to U.S. military efforts to expand westward, but as the soldiers’ firearms became more accurate and lethal the battles became more one-sided. One of those resistors was an Oglala Sioux Chief, Crazy Horse, who defeated George Armstrong Custer’s Seventh Cavalry in June 1876 at the Battle of Little Bighorn in Montana Territory. More than 250 members of the Seventh Calvary were killed in the battle, including Custer. Following the battle, the military hunted down Crazy Horse, and less than a year later he surrended in Nebraska and was taken to Fort Robinson, where he died after being stabbed during a scuffle with soldiers. Today, Crazy Horse is memorialized on a stone mountain, just 16 miles west of Mount Rushmore. While the memorial to the presidents was carved in just 14 years, the Crazy Horse memorial, started in 1947, remains a work in progress. Korczak Ziolkowski began working on the Crazy Horse Memorial in 1947. The head alone is 87-feet tall. Once it’s finished, the memorial will become the largest sculpture in the world. Signs near the memorial warn visitors to listen for blasting signals. His face is complete, but Crazy Horse’s arm (263 feet wide) and his horse’s head (219 feet tall) have yet to take shape. White paint on the mountainside outlines the spots where construction crews will blast away rock to carve the horse’s head. Perhaps the main reason the project has taken so long is, unlike Mount Rushmore, the Crazy Horse memorial has received no federal funding and instead relies on donations and revenue from admissions. 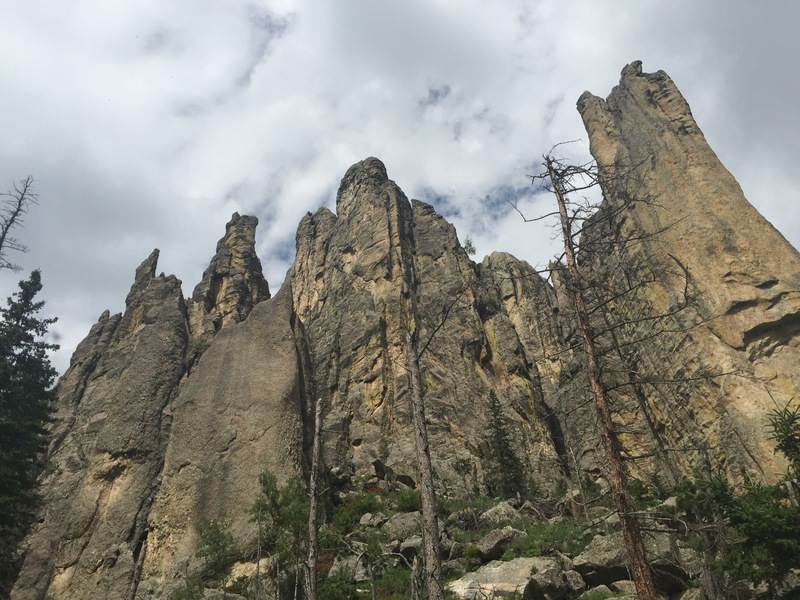 I was able to get an up-close look at the memorial last weekend during the biannual Volksmarch, a spring/fall hike that takes visitors more than 6,000 feet above sea level to Crazy Horse’s 87-foot-tall head. It’s one of only two times a year that the public is allowed to hike up to the head. When viewed from a few feet away, its size is staggering. The chin alone is the size of a basketball goal. Once it’s finished, the memorial will become the largest sculpture in the world, taller than the presidents’ faces at Mount Rushmore. But the timetable for completion remains unclear. Korczak Ziolkowski, who started the sculpture, died in 1982. His wife, Ruth Carolyn Ziolkowski, took over management of construction efforts. Under her watch the memorial became one of the top tourist draws in South Dakota, attracting more than 1 million visitors a year. Ruth died in 2014, and today her grandchildren and children continue the work that her husband started almost 70 years ago. In a 2012 interview with the New York Times, Heidi Ziolkowski, one of the couple’s two dozen grandchildren, said she wonders whether she’ll live long enough to see the project finished. The final work on the Mount Rushmore National Memorial was completed on Oct. 31, 1941, and throughout this year there have been several events to celerate its 75th anniversary. If you believe Heidi Ziolkowski, who was 24 at the time she was interviewed, it could be half a century or more before the Crazy Horse Memorial celebrates its first. Said no one ever … until recently. 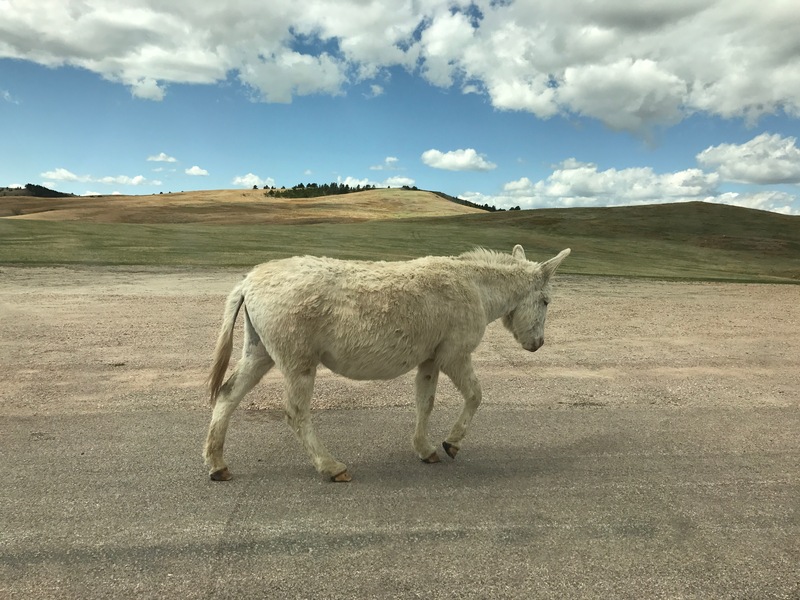 A few visitors to Custer State Park in South Dakota this summer have been injured by the animals after getting too close to them. The tally is four injured, including one person who tried to pet a bison on the head (maybe, under the right lighting, they really do look like they’re just dying to be cuddled). 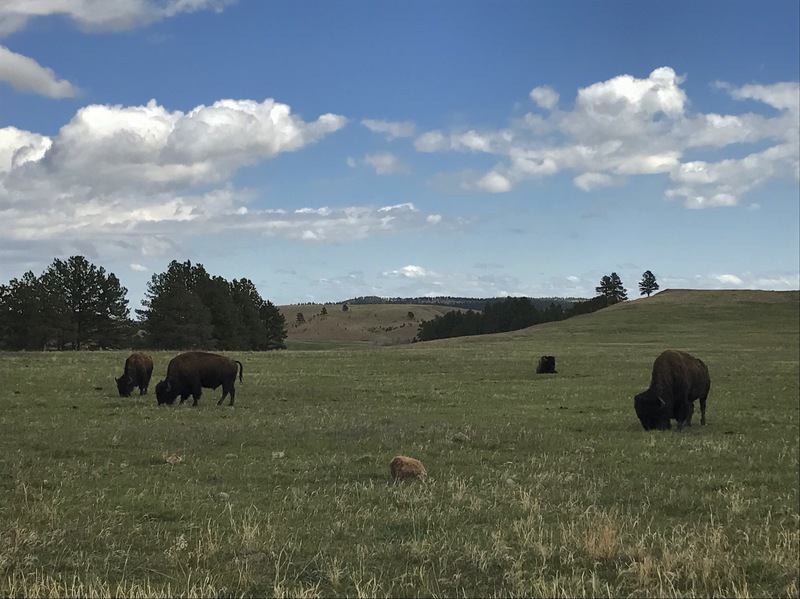 These are the first such incidents in five years at Custer State Park, which is home to around 1,300 bison. “The safest place to watch them is from your car,” a park employee told the Rapid City Journal in July. That should be obvious, but we live in a time when motorists drive off demolished bridges and plunge to their deaths because Google Maps says to go straight; when hikers, in pursuit of a selfie that’ll rack up likers on Instagram, pose at the edge of cliff and fall off; and when teens walk into oncoming traffic because they’re chasing imaginary Nintendo characters on their cellphones. 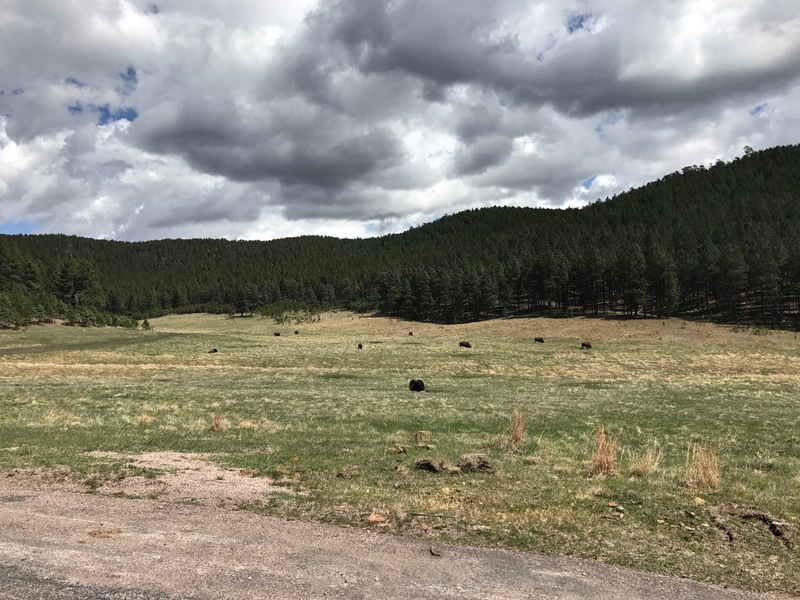 That said, it’s not a stretch to assume that some visitors to Custer State Park aren’t paying attention to the signs that read: BUFFALO CAN BE DANGEROUS. DO NOT APPROACH. The park employee, being polite, said an uptick in visitors could be to blame. I beg to differ and cite a different reason: Common sense, like the American bison in the 1800s, could be on the brink of extinction. “How much farther do we have to go?” a young boy asked, as he passed me with his family while I descended from Little Devils Tower, elevation 6,908 feet. “Thirty-five plus a couple of zeros,” I responded. His dad chucked, but the kid didn’t get my joke. “You still have a ways to go,” I told him. Perhaps it was the elevation. Perhaps my lungs are still recovering from five years in Beijing, which at times felt like living in a smoking lounge. Perhaps I’m just out of shape. 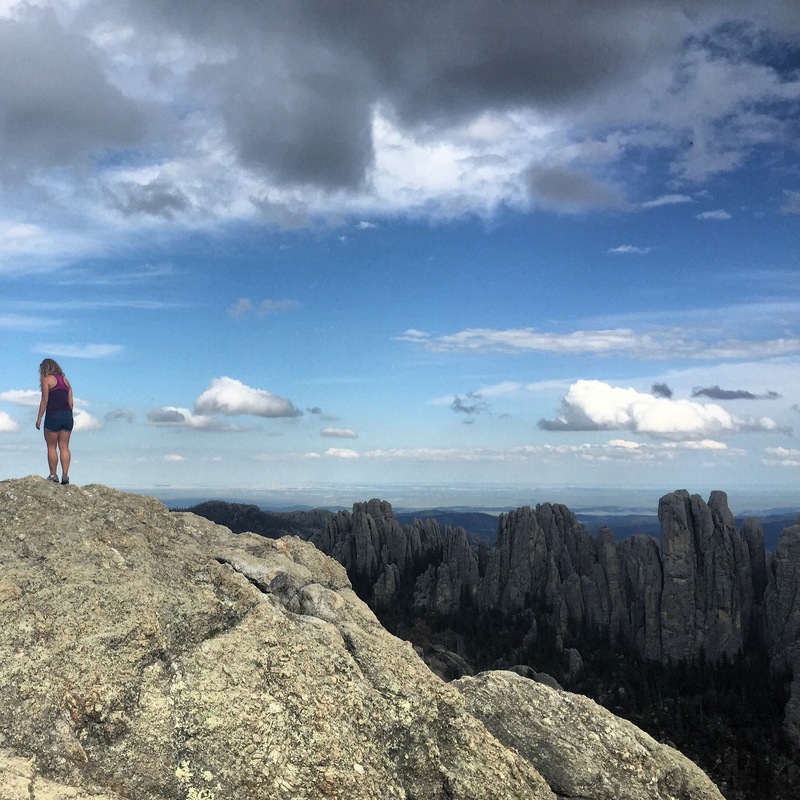 The Black Hills, in southwestern South Dakota, is full of beautiful rock formations. 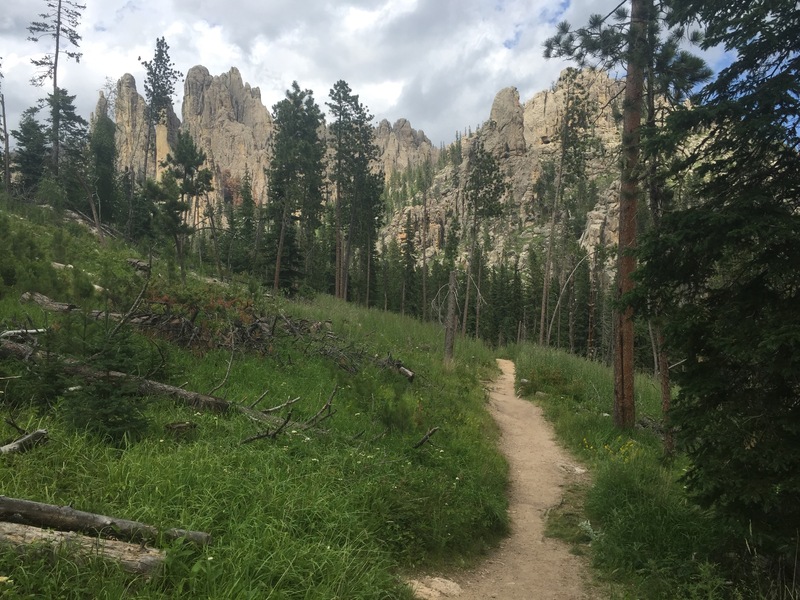 The trail to Little Devils Towers is around 3 miles out and back. People come from all over the world to rock climb in the Black Hills. 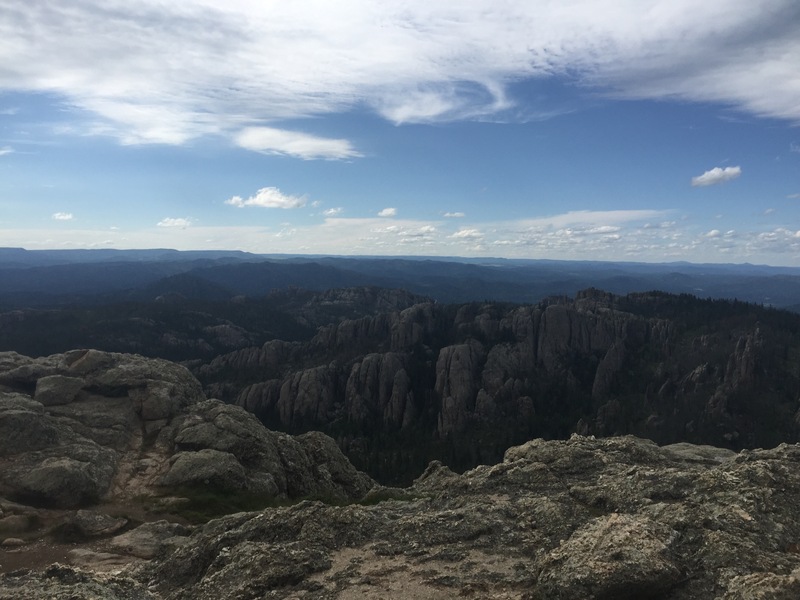 Whatever the reason, I had to stop several times to catch my breath along the winding and rocky path to the summit of Little Devils Tower, one of the highest peaks in the Black Hills. The occasional breaks allowed me to take in the magnificent giant rock formations, which jut into the sky from the mountaintop. The name of the place, Little Devils Tower, is misleading because there’s really nothing little about it. 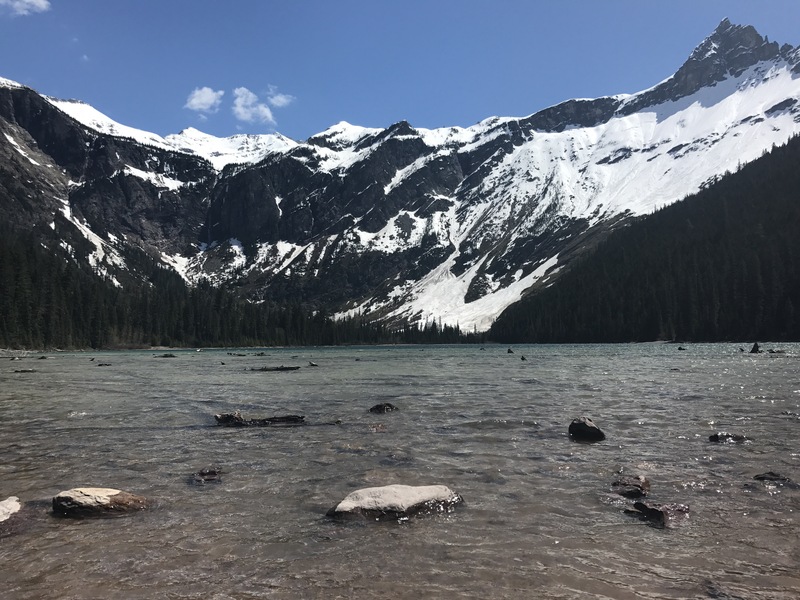 At nearly 7,000 feet, it’s one of the highest points in the United States east of the Rocky Mountains. 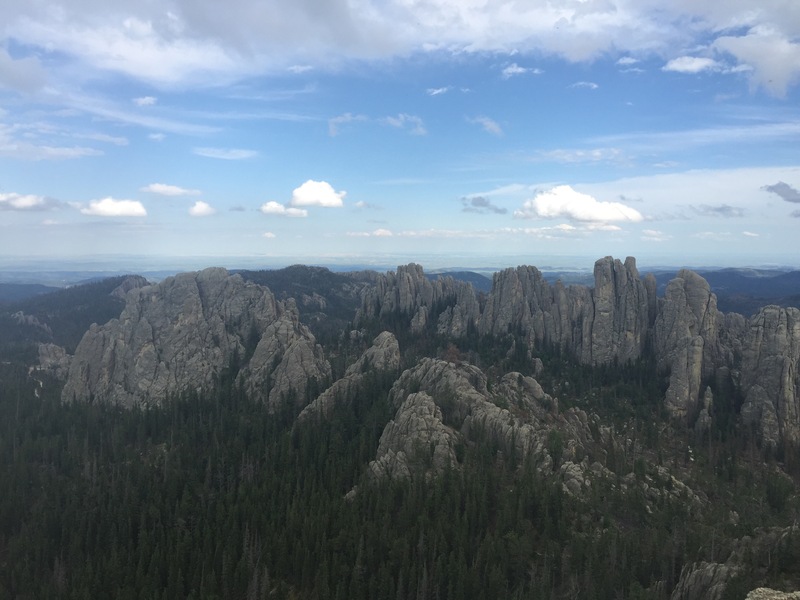 On a clear day, it is said you can see more than 100 miles out onto the horizon from the highest peaks in the Black Hills. Little Devils Tower is located in Custer State State Park. The skies were mostly clear when I visited. 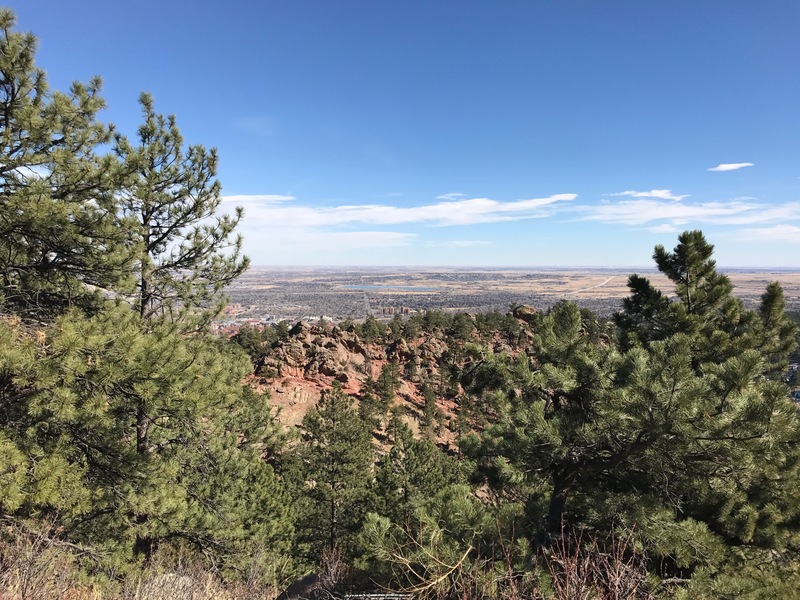 From the summit, you can see the spot where the hilly terrain ends and the high plains begin. The last leg of the journey to the top is the most difficult. The dirt trail gives way to rocks and boulders, and I had to pause a few times to figure out the best way to climb over them safely. 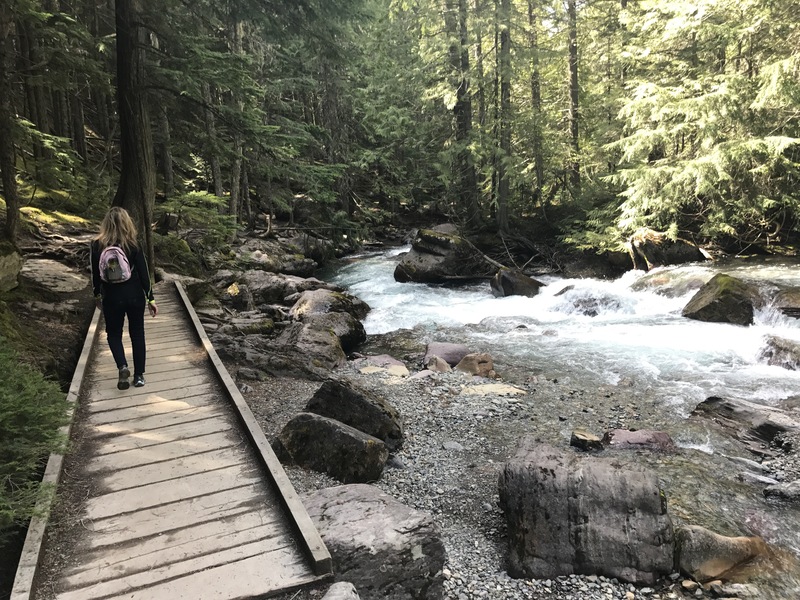 A series of blue markers posted on tree trunks and rocks help you stay on the path, but it’s easy to get sidetracked if you’re not paying attention. A view from the summit, elevation nearly 7,000 feet. From the trailhead, I was able to reach the summit within a couple of hours. It’s an easy hike to finish in an afternoon, unless, of course, you’ve got a kid in tow who asks “Are we there yet?” every 35 feet. 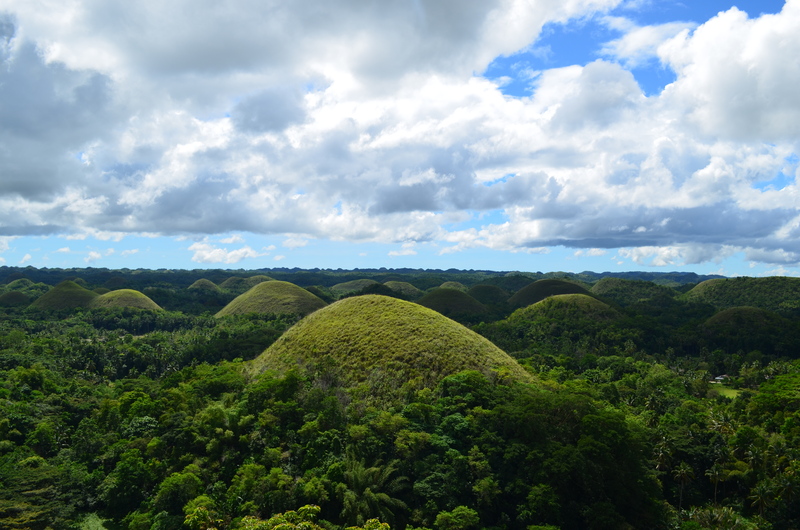 One of the more unique landscapes in the Philippines can be found in Bohol province, home of the Chocolate Hills. The hills, which range in height from 40 to 120 meters, jut out of the ground like camel humps. Scientists say they were formed by the “uplifting of ancient coral-reef deposits, followed by erosion and weathering,” according to Lonely Planet.